A major plan to turn Brussels' former stock exchange building into a cultural and tourist attraction, including a Belgian Beer World, has been given the green light. The building permit for the project has been granted and works are due to begin in the second half of next year, with an opening planned for 2021. 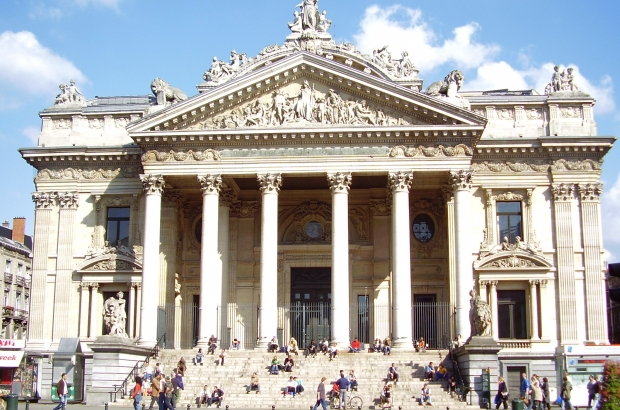 The City of Brussels had sought permission to renovate the building's facades, roof and interior decorations - as well as renovating the neighbouring Bruxellae 1238 archaeological site. The Bourse building will be transformed into a multi-purpose space dedicated to exhibitions, a restaurant and brasserie with roof terrace, and a new beer-themed experience, Belgian Beer World, which will occupy the second and third floors. "The goal is for Brussels residents to become involved again in this legendary place," said Brussels mayor Philippe Close. "The transformation of the Brussels stock exchange aims to create a new gallery linking the Grand-Place to the Dansaert district." Brussels region minister-president Rudi Vervoort said the project would add value to the region's tourism and cultural offering. He said: "Beyond the direct jobs created, this new and very original project, with its exceptional heritage and tourism appeal, will make the whole of our capital shine and will be a significant attraction for tourism." Amusing. Great sense of history. It's located in the (in)famous 'pedestrian zone', right?